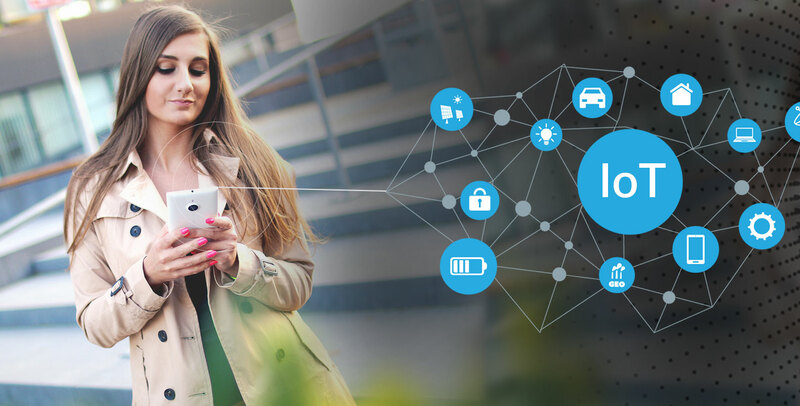 Customer Experience (CX) has remained one of the vital business differentiators for enterprises and, interestingly IoT (Internet of Things) makes it easier to measure and improve it by efficiently and intelligently collecting and interpreting data from different terminals. Hence, with a bid to utilize data more efficiently and drive CX enterprises are investing in IoT rapidly. How rapidly? Zebra Technologies tried to understand it through one survey dubbed Intelligent Enterprise Index. The survey was based on the opinion of 908 IT decision makers representing different sectors across nine countries. The index made it clear that IoT systems, solutions and strategies are pivotal for creating an intelligent enterprise. The study found that 48% are on their way to becoming intelligent enterprises. Against 11 metrics on which the index was based, 48% enterprises were able to bag 50 to 75 points, which is fair enough to understand that these enterprises are on their way to becoming an intelligent enterprise. 47% scored between 25 and 50 points on the index, which means they are utilizing just half of their organizational intelligence. Only 5% scored above 75 points on the overall Index, making them Intelligent Enterprises as defined by the index. 70% of the enterprises are adopting IoT to improve CX and 56% to improve safety. Data generated from IoT solutions are helping enterprises to identify bottlenecks and improve efficiency gaining real-time visibility across different processes. 42% of enterprises are spending an average of $3.1M annually on IoT. IoT spending is on the rise. 57% have an IoT vision and are currently executing their plans. 75% plan to increase their budgets in the next one to two years. 42% expect their IoT investments to increase between 11 to 20%. 36% of enterprises have company-wide deployments and 62% plan to deploy IoT initiatives company-wide in the future. 77% of enterprise IoT plans include ways to measure Return on Investment (ROI). A major chunk of the enterprise cohort, nearly 71%, plans to utilize the insights gained from IoT to manage both cultural and process changes. 24% of enterprises intend to deal with process changes alone. Enterprises are leveraging IoT to have a thorough understanding of the customer's cadences of buying, using and replacing products across both B2C and B2B industries. The interpretation helps enterprises to map customers' expectation against their internal delivery capability and, consequently take the right step to augment processes. Barcodes (71%), mobile computing (64%) and mobile phones (63%) are the top three technologies in IoT infrastructures today. In the coming years, gradually, near-field communications (49%) and Active RFID (45%) and sensors (41%) will get an entry into the IoT plans. Cloud technologies (51%) and real-time analytics (46%) are to stay relevant as well. Workforce productivity is critical to business success. Interestingly, it depends to an extent on how enterprises allow their employees to access data. Hence, the survey also looked at how enterprises disseminate information to the end users. It estimated that 70% of the enterprises allow their employees to share information from their IoT infrastructure more than once a day and, almost 67% of it was happening on a real-time or near real-time basis. Key point-of-use applications includes email (69%), data (62%), application-based (43%), voice (38%), data (62%) and text (37).